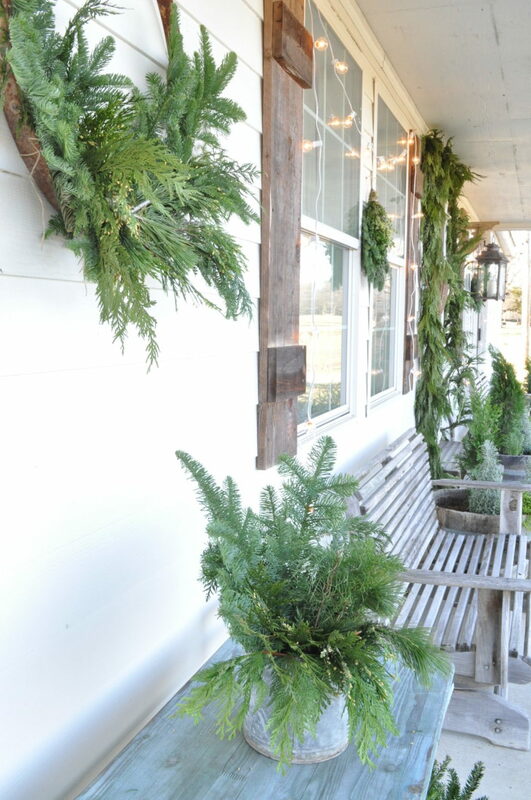 It’s been a few years since I decorated my whole front porch for Christmas…it has been lacking some character! 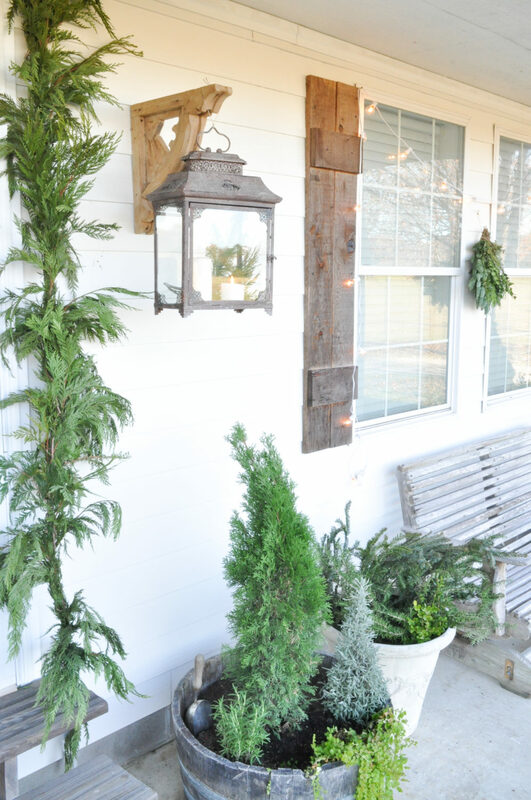 So, this year I partnered with Ellis Home and Garden to give it some Christmas cheer and bring our porch back to life! I took an afternoon to stroll through the aisles of Ellis Home and Garden last week (with a coffee in hand) and enjoyed browsing through all of their beautiful Christmas displays. It’s a local-to-me shop, just over the Red River in Bossier City. And did you know, they are a family owned business that’s been around for over a century? Originally manufacturing pottery in Marshall, Texas…Ellis Home and Garden now features all types of home decor. I have fond memories of visiting the Ellis Pottery in Texas when I was a little girl. My mom loved shopping all the handmade pottery! There was a pottery wheel in the back of the building where we would watch the workers shape a piece of clay into a vase. And now, my favorite part of their shop is the greenhouse, of course! During the Christmas season, their selection of fresh evergreens and poinsettias are a sight to see! If you’re not local, you can shop Ellis Home and Garden Online Shop HERE! The holly swags were gorgeous, so I scooped up two for our large windows. 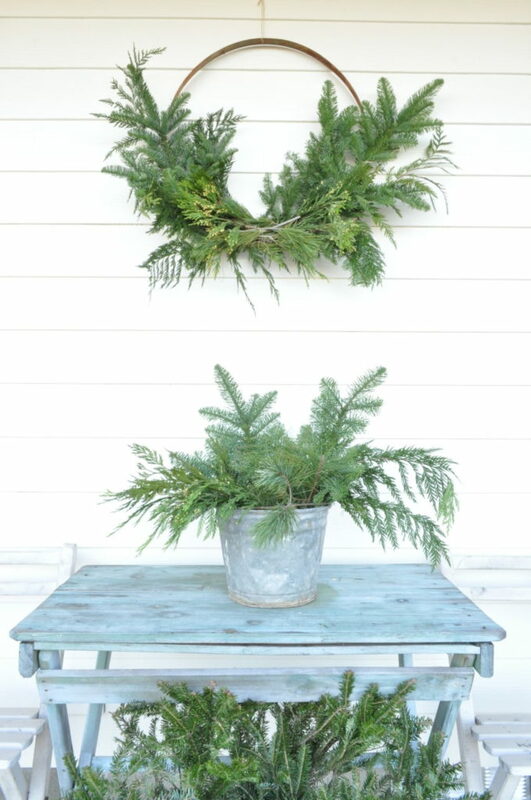 I also got a buggy full of bouquets of fresh greens to create this huge hoop wreath…including cedar, fir and pine. And I found the most adorable lavender Christmas tree topiaries, for my wine barrel planters. 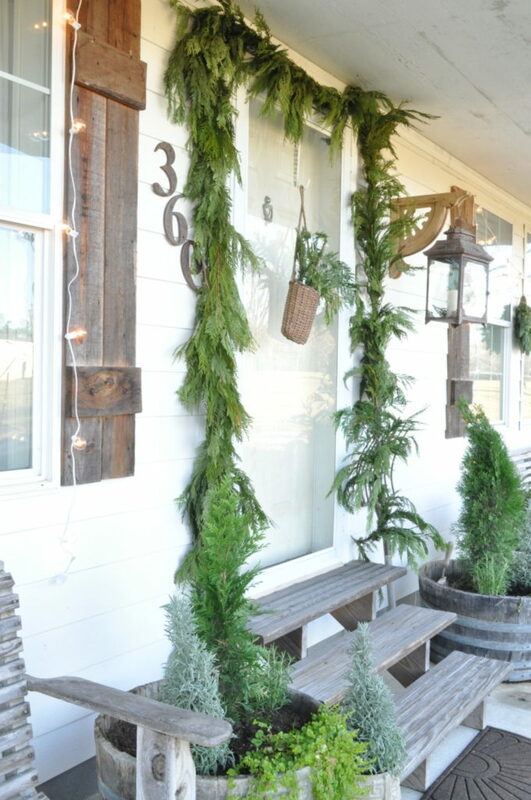 I also got 14 feet of the fresh garland for our front door…only 2$ a foot!! 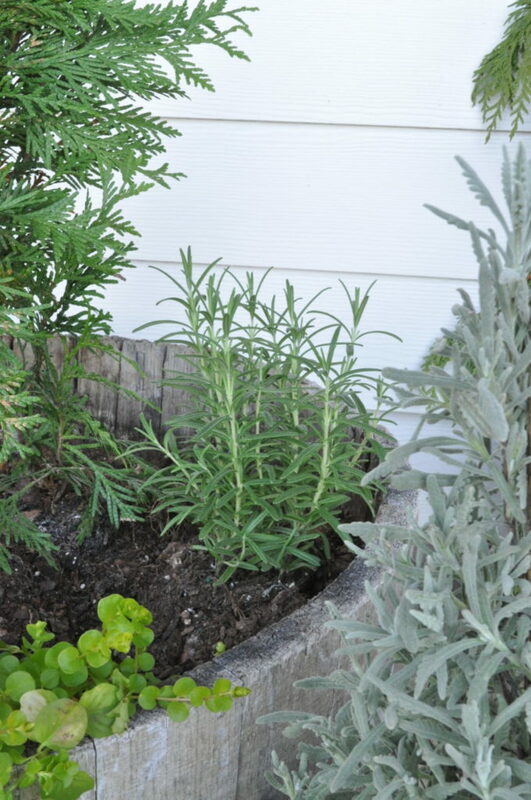 The staff was so friendly and eager to cut the garland for me… Then I found tiny rosemary plants, a perfect addition for the planters. I found all of their prices to be reasonable…and most of their Christmas home decor is on SALE! 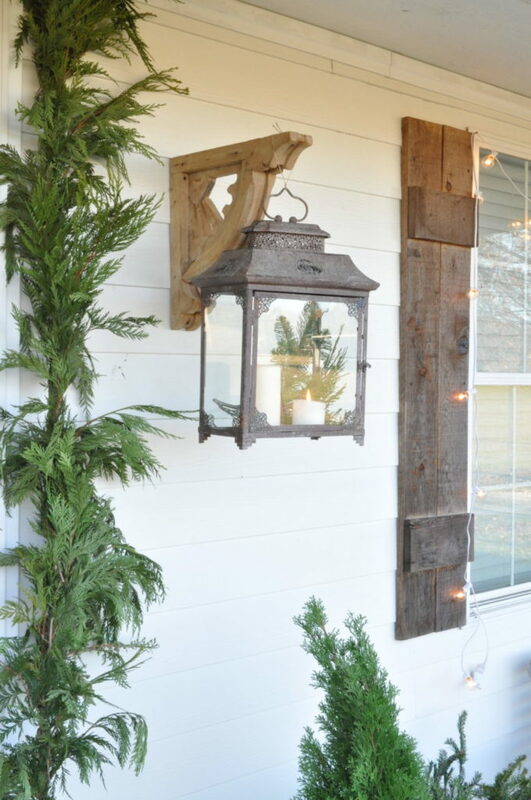 My favorite find was this gorgeous vintage style lantern! I fell in love with it’s shape and character. I put a few pieces of greenery inside the lantern with some candles. The glow is beautiful at sunset! Another favorite feature was the fresh Christmas tree lot…it smelled heavenly! Although I didn’t get a tree, there was a huge box FULL of extra clippings! The lot attendant was happy to let me grab an armful. I used the extra branches for the basket on my door and stuffed my olive bucket full! I’m certain this is the prettiest our porch has looked in many years, thanks to Ellis Home and Garden!! Are you local to north Louisiana or East Texas? Then I’m sure you’ve heard of Ellis Home and Garden! I hope that you have the chance to experience a walk through their beautiful shop full of Christmas inspiration! 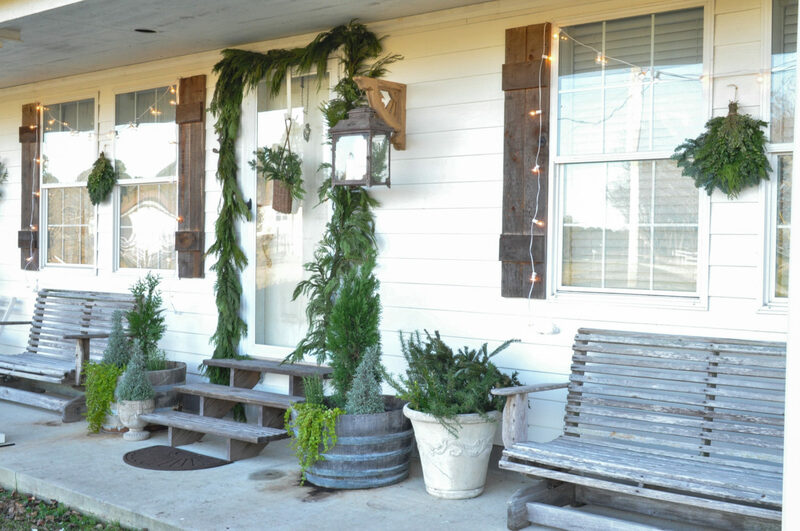 Please leave a comment, and let me know what you think of our Christmas porch! And soon and very soon, we’ll have the complete reveal of our limewashed brick to share!! I can’t wait for you all to see! Thanks so much for visiting my blog today! This blog post is sponsored by Ellis Home and Garden and all of the opinions are my own. This looks soo gorgeous Becky!! This is so incredibly welcoming and beautiful! All the greens just work together, I can almost smell Christmas! You are gifted! Thank you for sharing!! I just want to tell you that I love following you on IG!!! I so enjoy your sweet personality and your decorating style speaks to my heart. Even the background music you have playing on your stories always seems to pique my interest and makes me wonder “who is that singing, and where can I get that CD?” I just watched your story touring your porch….so beautiful and inviting! I wanted to pull up a chair and take in all the ambiance you’ve created and listen to more of that besutiful christmas music! Thank you for the sweetness you add to my life, for your tiny squares and storiehs of your warm and beautiful home and family,, and I hope you have a blessed day and holiday season!! !